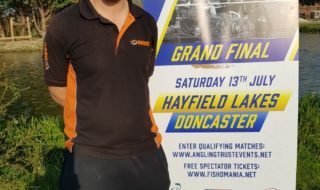 There was a buzz of excitement and expectation at the opening qualifier at Hayfield lakes today. The fishery looked splendid and the weather was likely to stay dry, but there was a chilly easterly breeze blowing. With 6 sections on the fancied Dannies lake and a further 7 on Adams, the draw came up with one or two proven anglers on fancied pegs. It soon became apparent that the cold easterly wind and heavy cloud cover was having an effect, with most anglers struggling for early bites in the bitter conditions. There were a few fish to be had on method feeder dropped close tight to the island on Dannies, and early reports of fish on pellet waggler on Little Adams. As the match progressed, there was a battle building between Matt Hall on Adams 17 and Nathan Watson on 16; both using the advantage of calmer conditions and a back wind to fire a pellet waggler to the aerator in the middle of the small lake. There were lots of fish present but they were reluctant to feed. Matt got off to a good start and soon had a four fish lead over Nathan. Gary Thompson on peg 35 also had these fish in range and started with a few fish to the same method. Those on Dannies were finding the going tough, with the wind running the full length of the lake putting the fish off the feed. Even those caught early tight to the island seemed to switch off and anglers were forced to switch between pole, pellet waggler and method feeder to keep fish coming. 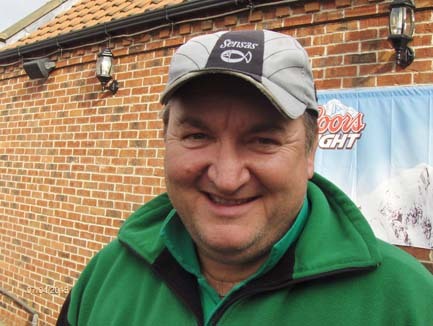 Best weights on Dannies came from 4th placed Craig Goldstraw with 56-12 from peg 44 and 52-3 from Martin Holmes on 14. Big Adams was also tough with only pockets of larger carp feeding intermittently. Meanwhile the battle for the top places was between the 3 anglers on Little Adams lake, with Matt Hall having a good late burst to take the win weighing 79-8 consisting of 13 carp to 9lb on 8mm pellets fished between 18 inches and 4 feet deep. 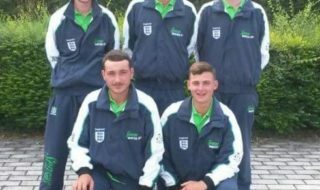 Gary Thompson caught steadily to finish 2nd with 60-6 for second spot, and Nathan Watson was left rueing his slow start to finish 3rd with 58-7 . 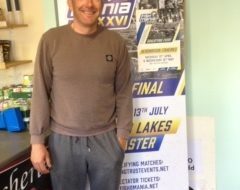 Matt Hall (pictured), now of Shakespeare Super Team was delighted the have qualified for the grand final but others will hope for another chance in better conditions. Next Anglers Mail: Biggest carp in the world!